Good dental hygiene is something that you should not avoid, however if your child does not want to brush their teeth this may unfortunately be a daily struggle. Tooth decay is one of the most common chronic conditions in children and not brushing can cause your child discomfort, as well as problems with eating and speaking. It also sets up a pattern of not brushing in the future, which can lead to health issues in other parts of the body. Teaching your child to brush their teeth properly should be in the same category as putting suncream on your child or teaching your child to wear a seat belt or look both ways before crossing a road. It is important to brush twice a day for 2 minutes each time. Below are some simple tricks to try to help get your child to brush their teeth but remember different children respond to different tactics, so you may need to experiment no matter how you tackle tooth brushing. 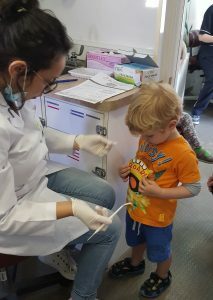 Do not assume that it will be easy, and remember you should be brushing your child’s teeth for them until they are between 7 and 9 years of age. From a very young age let your children watch while you go through your routine of brushing and flossing, explaining the importance of good brushing and flossing, show them your big smile after you finish. Let your child pretend to brush their favorite soft toys teeth, or better still let them brush your teeth to make it more fun. Find a tune that lasts 2 minutes and brush away until the music stops or the sand runs out. Start brushing your baby’s teeth with fluoride toothpaste as soon as the first milk teeth appear (usually around 6 months of age, but it can be earlier or later) Starting early ensures it is a lifelong habit. 1. There is no need to buy special children’s toothpaste however if your child prefers the tube with the picture of a princess on or Spiderman make sure it contains at least 1,000 parts per million (PPM) fluoride. Children from the age of seven can use family toothpaste, as long as it contains 1,350-1,500 PPM fluoride. Check the toothpaste packet if you’re not sure, or ask your dentist. 2. Below the age of three years, children should use just a smear of toothpaste. 3. Children aged three to six should use a pea-sized blob of toothpaste. 4. Encourage your child to spit out excess toothpaste, but not to rinse with lots of water. Rinsing with water after tooth brushing will wash away the fluoride and make it less effective. We will always have extremely fond and treasured memories of our girls time at Children’s Oasis. The teachers are so creative and fun, always thinking of new ways to engage the children and the thoughtful and varied outdoor areas were always a favourite of theirs. We loved the intimate, friendly feel and all the little extras which makes it feel that you are part of a community. Thanks for everything, we really couldn’t have asked for a better start and we will miss you all. What I love about Children's Oasis is how well looked after my children are and how comfortable they feel. They know the names of most of the staff and will always say 'hi' and often stop for a chat. It's a calm and nurturing environment. 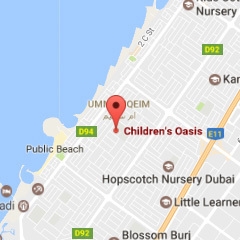 We love children’s Oasis Nursery. It has been a part of our lives for over 8 years with both our girls going there. The staff are all amazing and really care for the children. Que alegría haberlos encontrado! Estamos muy agradecidos de comenzar los años escoltarse de nuestra hija con su apoyo! Desde las maestras, hasta la directora y el ambiente de la escuela tuvimos una experiencia fenomenal y estamos entusiasmados de volver en Septiembre! Muchas gracias Children's Oasis!!! Both my boys were at Children Oasis from the time they were 2 and until they were 4 years old; first attending the Spanish Programme and then, FS1. Both classes were great! The teachers are incredibly professional and caring. The communication with the parents is excellent and reports are detailed. They make learning fun and engaging for the kids who learn through hands-on activities and play. The facilities are beautiful with lots of stimulating and educational books and toys. I couldn't ask for more during those early years for my children! 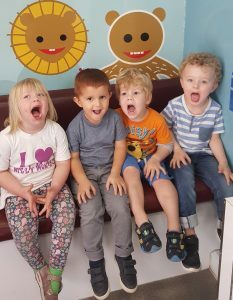 Stay ahead of the latest news about nursery life and early years learning and development updates.